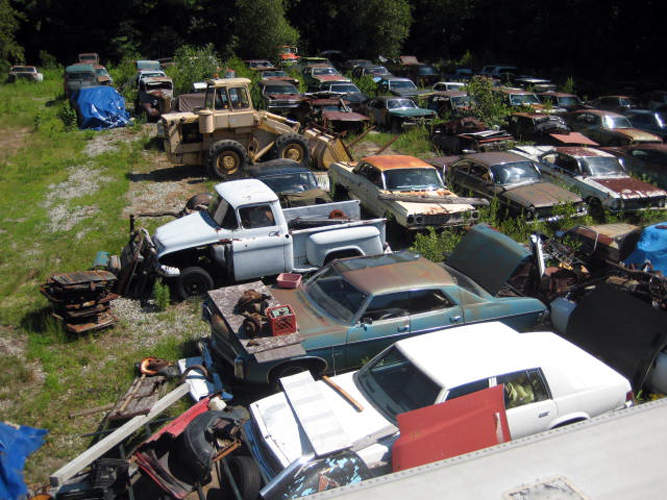 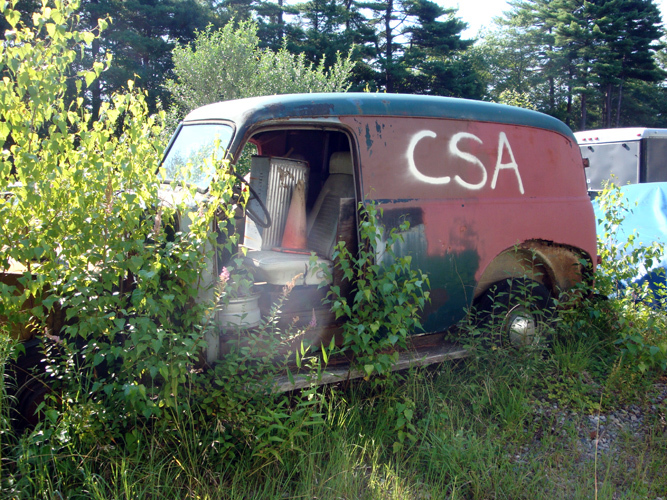 Over the years, the Chevrolet auto parts yard at Chevy Supply of Assonet has grown into one of the largest vintage Chevy salvage yards on the East Coast of the United States. 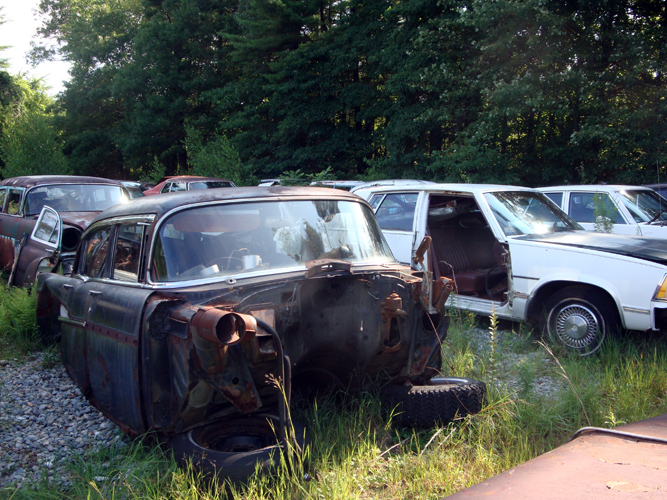 Our 4-acre Chevy auto parts junkyard holds thousands of hard-to-find exterior Chevrolet auto parts, interior Chevy auto parts, as well as classic Chevy accessories, glass, trim accents, and much more. Our experienced staff has extensive Chevy auto parts knowledge, and knows the current inventory in our classic Chevy junkyard and auto parts warehouse. We will do our best to find the authentic Chevy car part you're looking for. 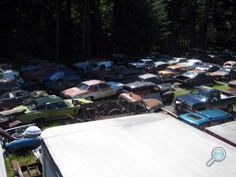 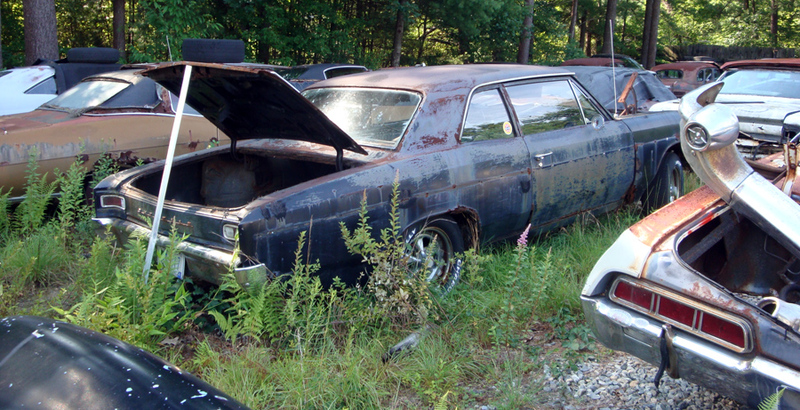 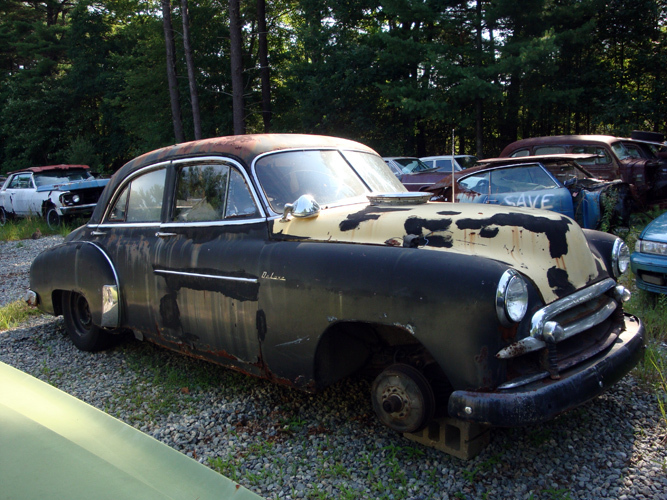 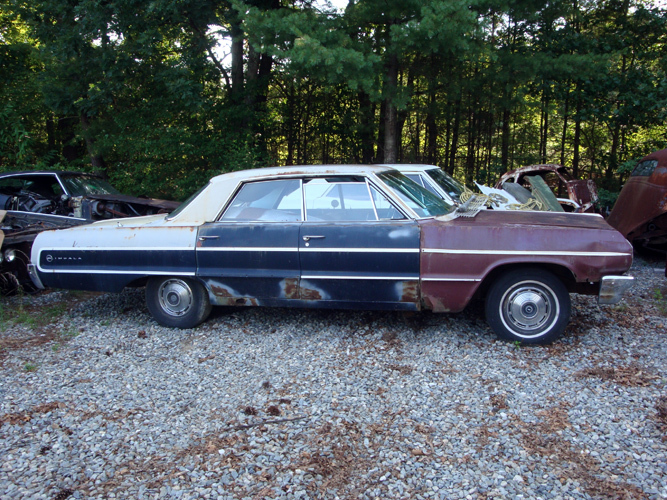 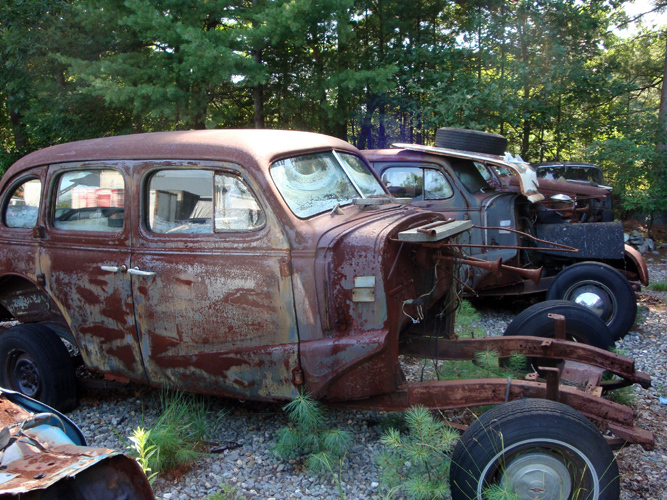 Our Chevy auto parts salvage yard contains over 100 vintage Chevrolet cars from model years 1937-1972. 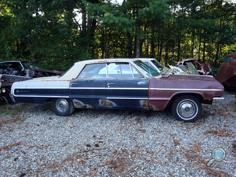 We also have some 1978-1987 Malibu and El Camino models. 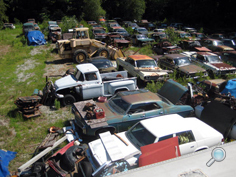 Our 4-acre vintage Chevy car parts junkyard is home to thousands of 1937-1972 Chevrolet auto parts from the following Chevy models: Bel Air, Biscayne, Camaro, Caprice, Chevelle, Chevy 150 & 210, Impala, Malibu, Monte Carlo, and Nova. 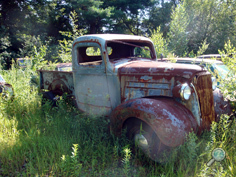 We have the original, vintage Chevrolet parts for your 1937-1972 classic Chevy car: Chevy doors, Chevy fenders & bumpers, Chevy engines & cylinder heads, Chevy steering parts, Chevy rear end components, Chevy wheels & hubcaps, Chevy glass, Chevy seats, and hard-to-find Chevy hardware and Chevy logo accents. 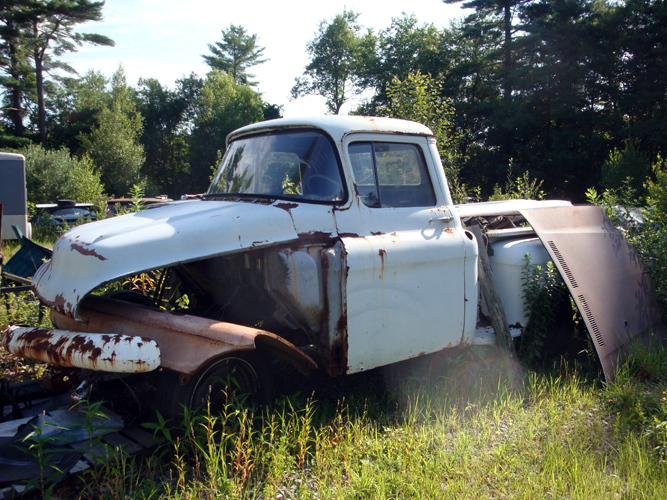 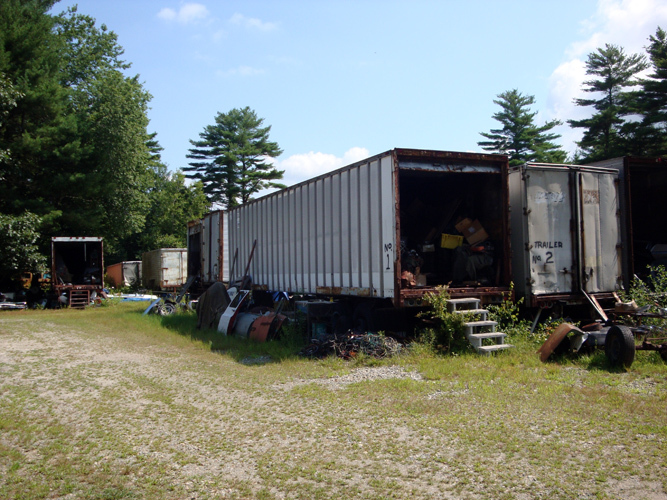 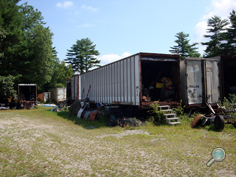 We also have several trailer trucks filled with hundreds of classic Chevy car parts & accessories, Chevy exterior body parts, vintage Chevy engines, and every other Chevy component you'll need to restore your classic Chevy car.